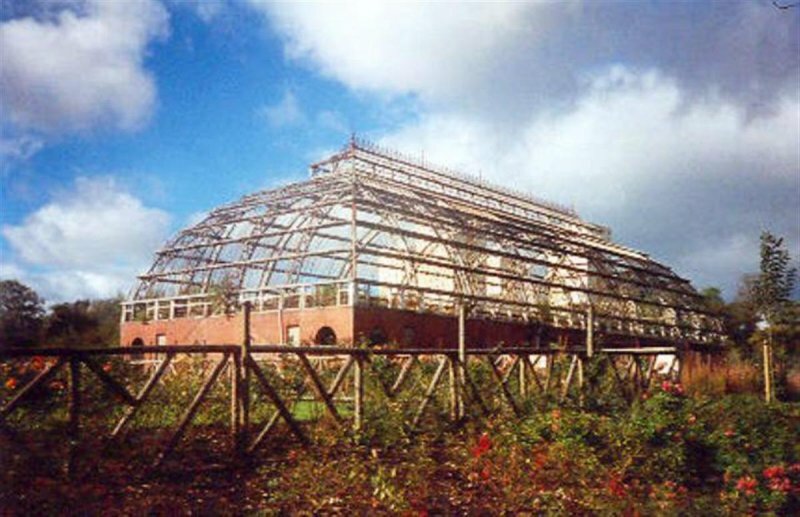 It was once the largest glasshouse in Scotland at 842 sq. 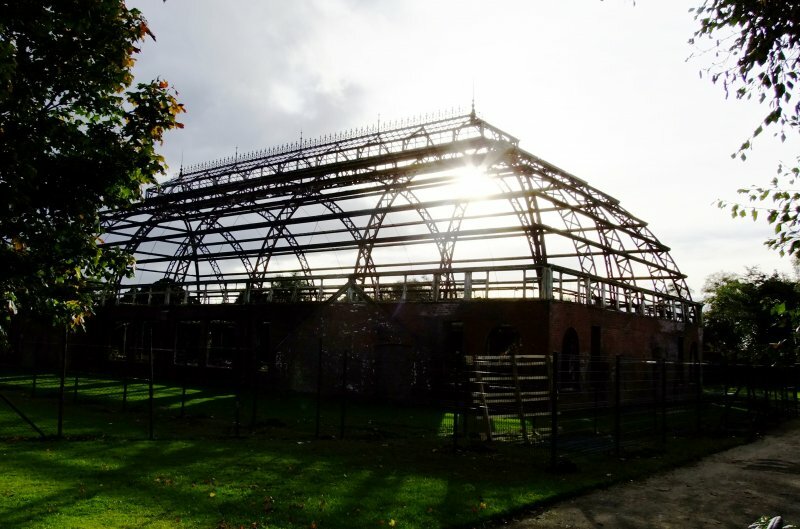 m. £10,000 was contributed by the Reid family of the neighbouring Hyde Park Locomotive works for the construction of the Winter Gardens. 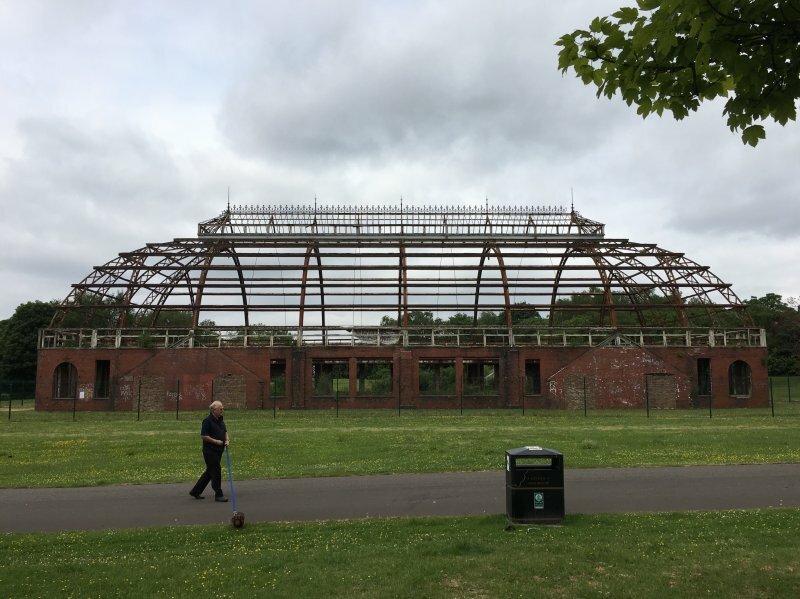 The Reid's having paid for the construction of nearby Springburn Public Halls, on the agreement that Glasgow Corporation would build a winter garden in Springburn Park. The building was spot listed in May 1985, two days before Glasgow District Council was to consider its demolition application. August 1990: External inspection reveals the building to be ruinous, with all its glass now lost. It suffers from extensive vandalism. Closed, due to the cost of tackling emerging structural problems, it was marketed in the mid 1980s, but without success. 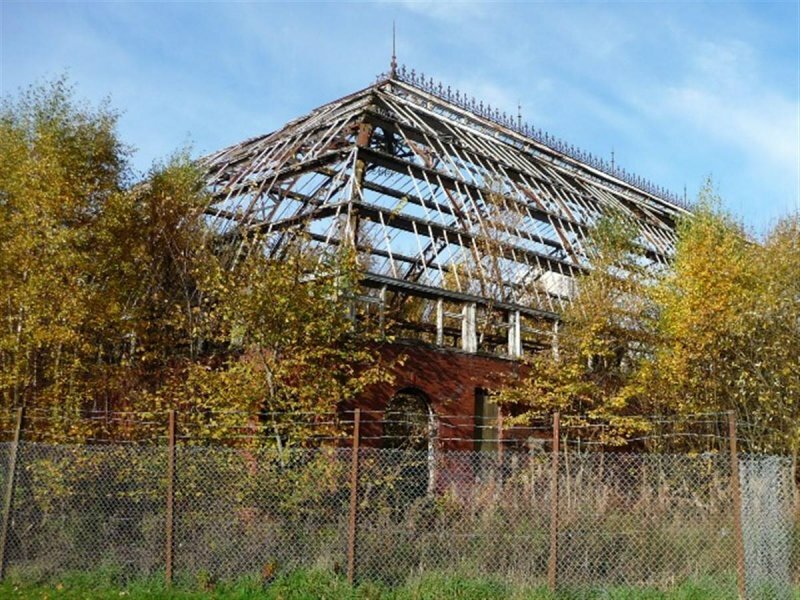 Local planners report that Glasgow City Council is now considering applying for demolition consent. September 1992: Kelvin Contracts expresses interest in using the building as a daytime keep fit/creche, with ceilidhs at night. 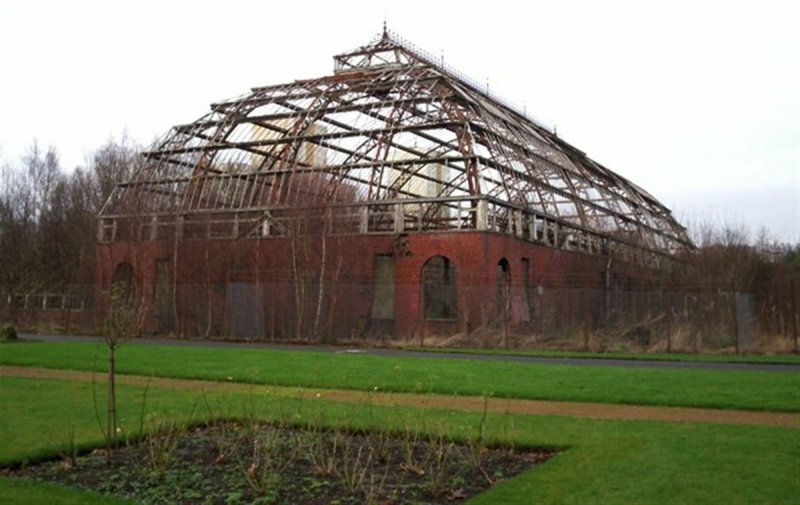 January 1995: Local planners report that Glasgow City Council's Parks Department is now considering in-house use. October 1997: External inspection reveals further deterioration. 24 April 1999: The Herald reports that the building is now surrounded by fencing and dangerous building notices. 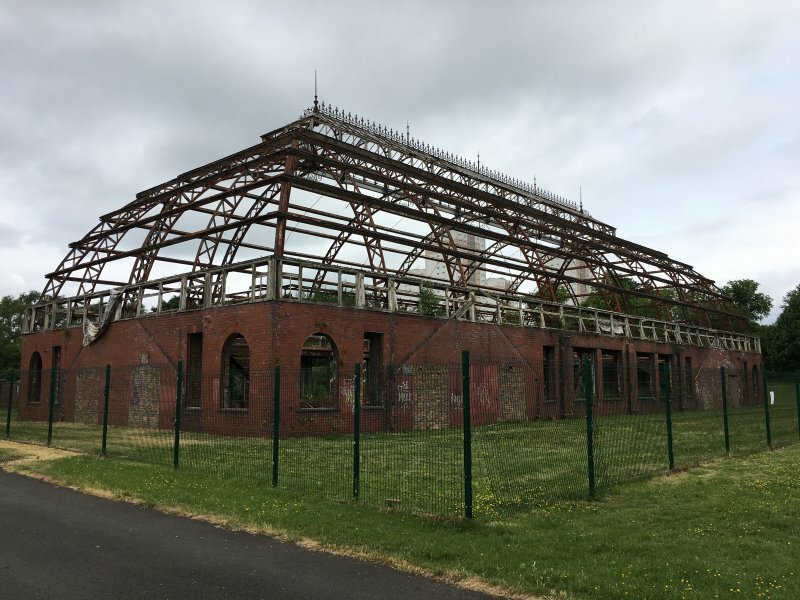 It has been identified as a priority project by the council and National Lottery and partnership funding may be sought. It is hoped to initiative feasibility studies next year. January 2000: Local planners report no change. 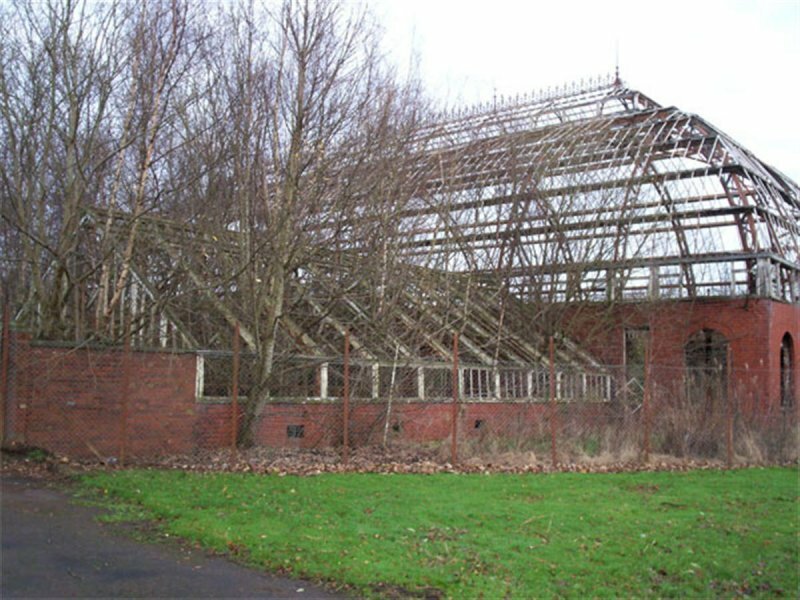 2002: Local planners report that an innovative project comprising the re-use of the building as a multi-function venue, along with environmentally-sound energy from a new wind turbine nearby, is being advanced. 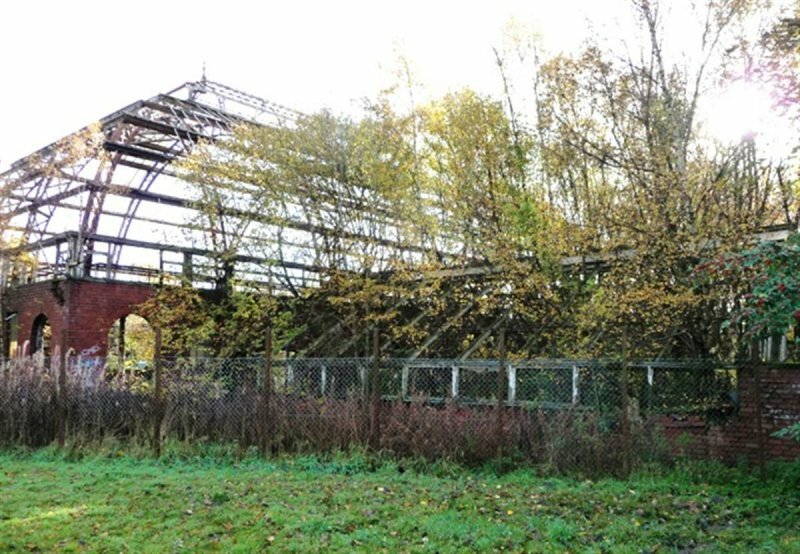 November 2004: Local planners report that the project will not now commence due to estimated costs of £7-8 million. 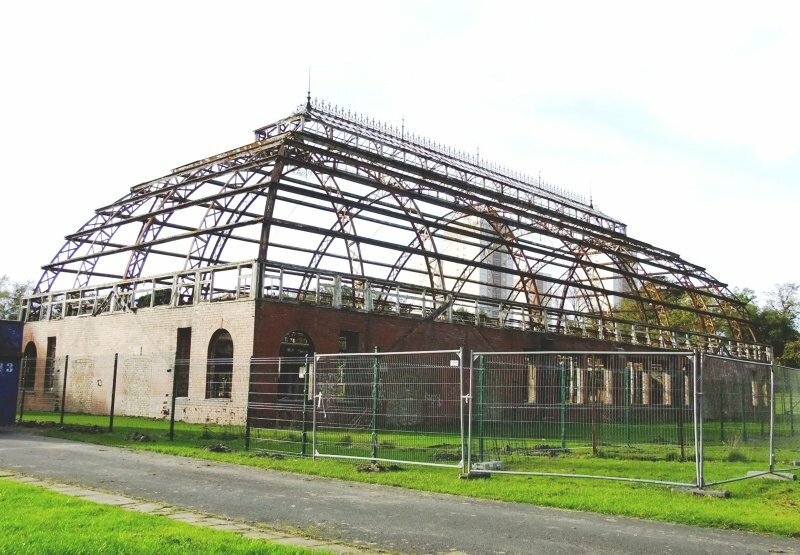 December 2007: External inspection reveals the building remains a ruinous shell. The interior is heavily overgrown with well established bushes , grasses, ferns and other plants. The building is secured with barbed wire topped security fence. 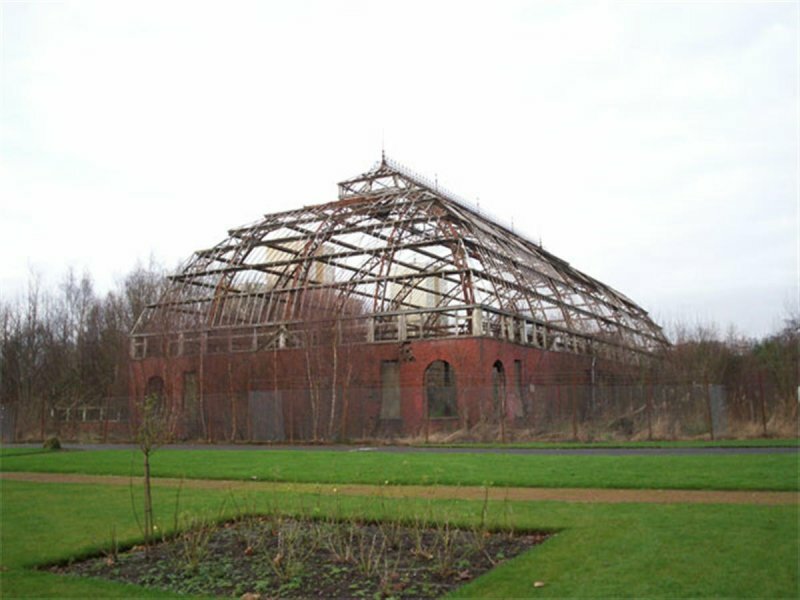 March 2008: Glasgow Building Preservation Trust report that they are about to be commissioned to carry out an Options Appraisal by Glasgow City Council. 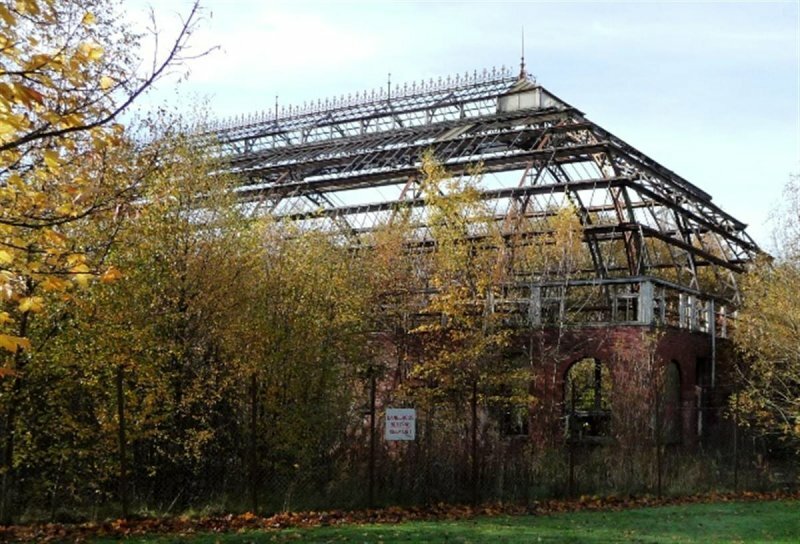 October 2010: Springburn Herald reports Glasgow City Council is considering options for the former winter gardens, following GBPT's study of the site. 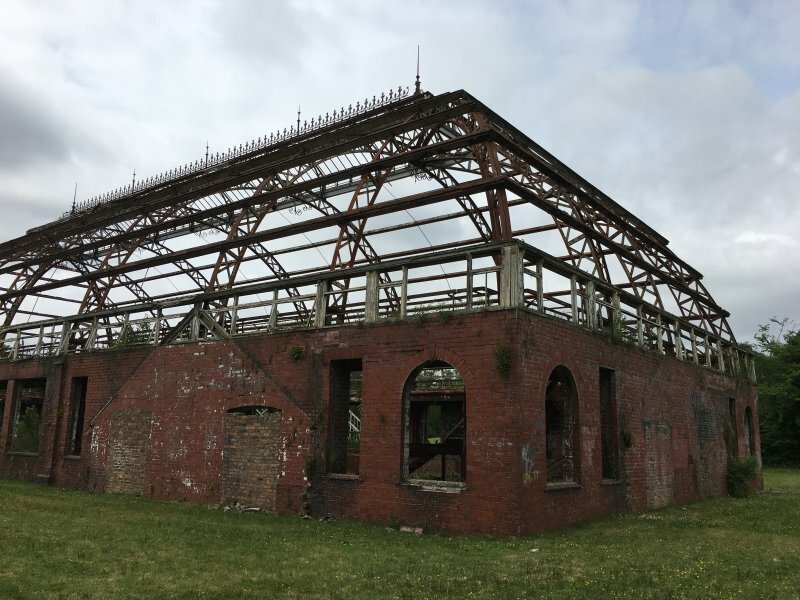 Options are reported to include repairing the building as a glasshouse and using it as an events space, using it as retail, plant collections and play area. 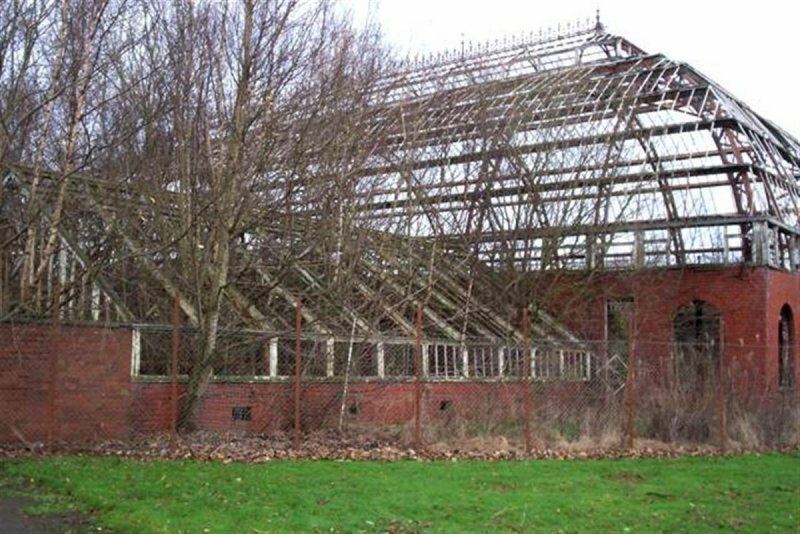 The adjacent walled gardens could be utilised as allotments or community garden space. The project cost is reported to be around £4.67 million. 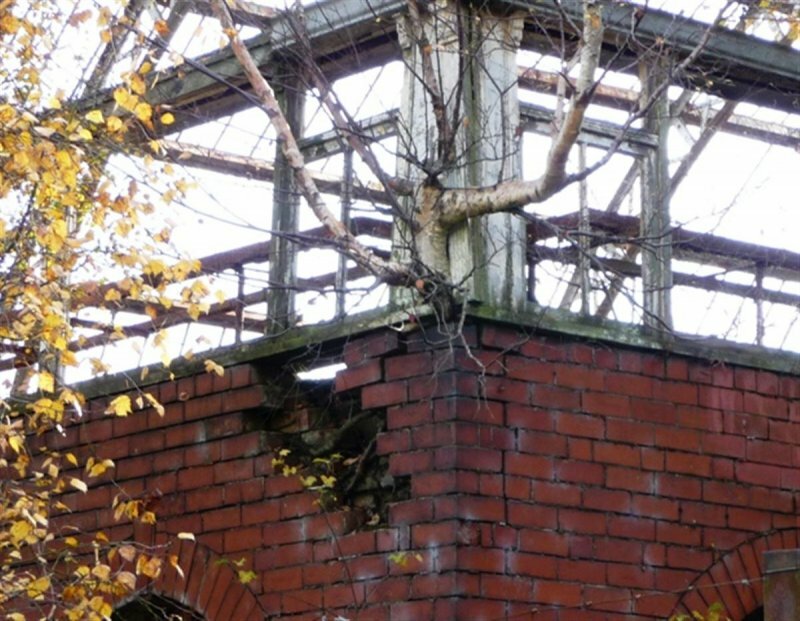 November 2010: External inspection finds the building continues to deteriorate. 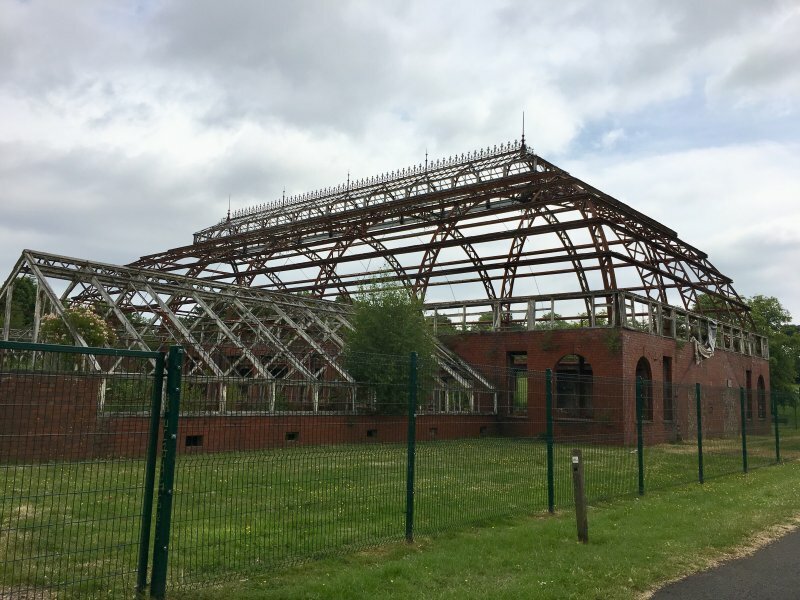 The metal roof structure is increasingly rusty, timber elements are decaying, brickwork is being attacked by plant roots. 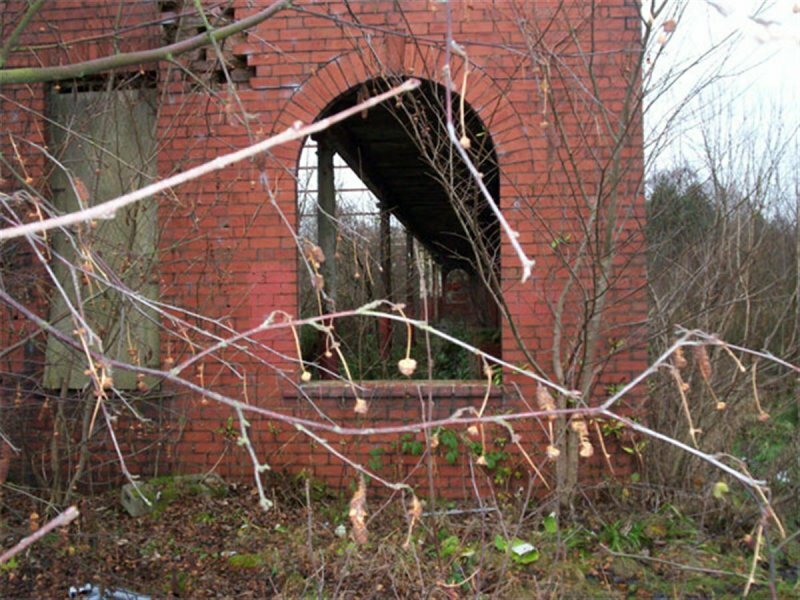 The structure is increasingly overgrown, especially the nurseries to the rear. 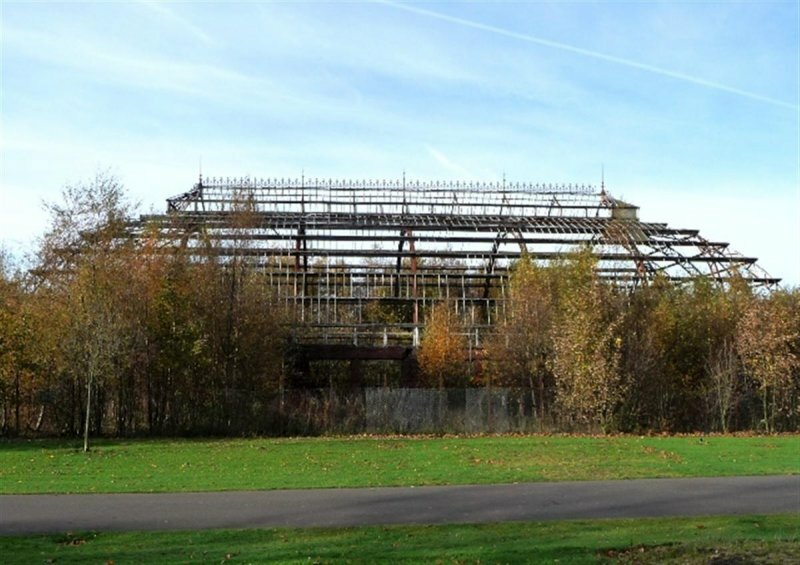 20 November 2013: Local planners report that the Council's Land and Environment Services has cleared vegetation from the structure and erected a new fence around the site. 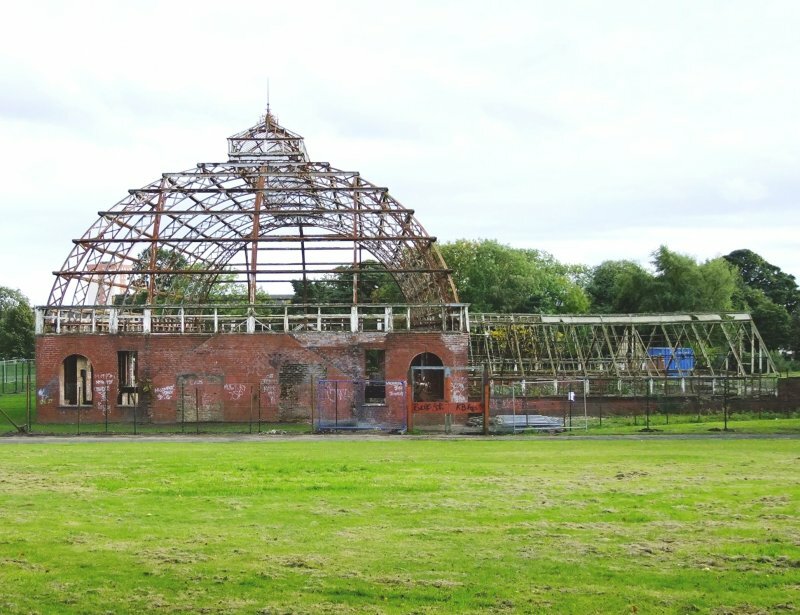 Survey work is being carried out in collaboration with the Friends of Springburn Park as part of an initiative to restore the structure. 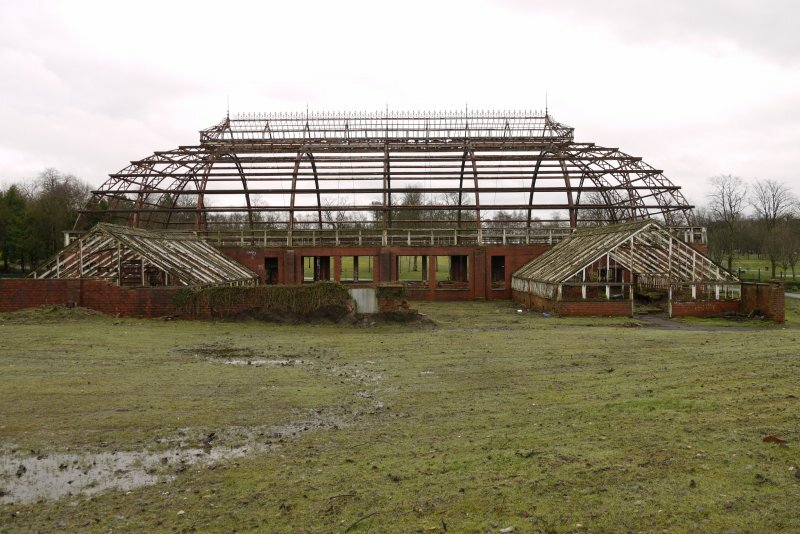 19 February 2014: A site visit records that, as previously reported, the site has been cleared of tree and foliage growth and secured with new fencing. 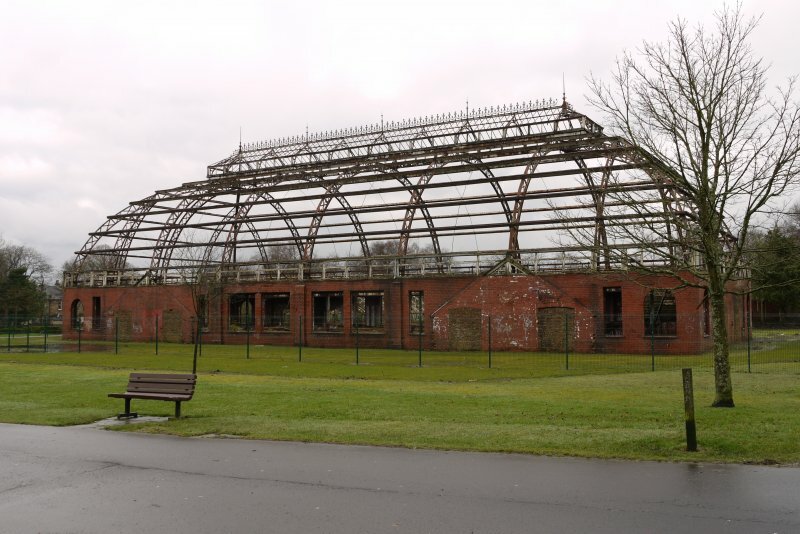 There has been no significant change to the fabric of the glasshouses which remain in an extremely poor state of repair. 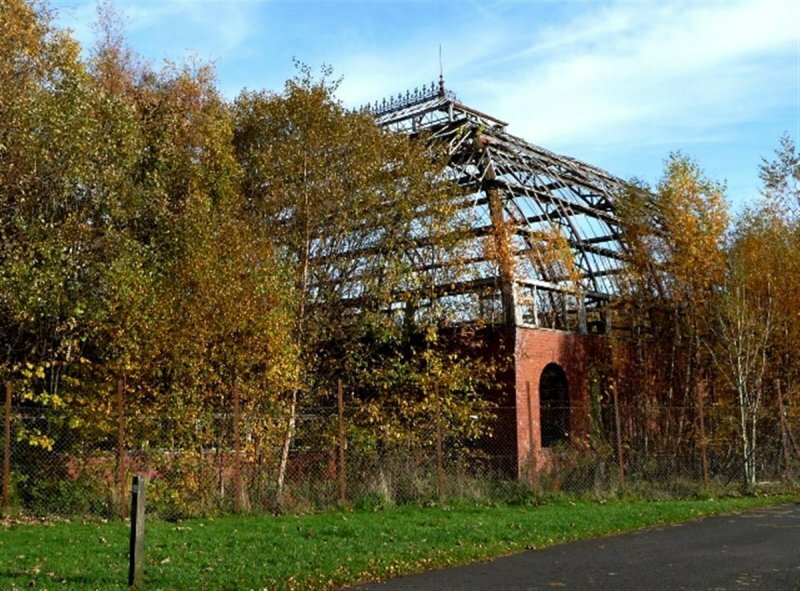 26 October 2017: Local planners advise Spingburn Winter Gardens Trust is working towards bringing the building into use as a community venue. A Project Co-ordinator is being sought to take forward an application for grant-aid from the Heritage Lottery Fund. Emergency Repairs to high level steelwork was undertaken in Feb 2017. 13 June 2018: External inspection finds little change from previous visit. The new fencing has been damaged allowing entry into the structure. There are signs that maintenance has taken place but there is still vegetation growth throughout. Ironwork and walls are stable. Graffiti on brickwork.